It all started out as a crazy idea of a couple of friends. Climb Kilimanjaro, the highest mountain in Africa reaching 5,895 m. A Facebook event was created and 8 brave souls signed up. A date was set and we now had a half year to plan and train, which we of course thought was plenty of time. How hard can it be? It was only later that we heard from our guide that most people that set out to climb Kilimanjaro planned it for up to 5 years. First challenge was to book 8 plane tickets and get them for as a good price as possible, easier said than done. The more people you added, the more expensive it got. Prices that we got quoted when we searched, didn’t exist when we booked and so on. After a while, and after we had split up the booking in three, we got a fairly good deal. Next thing was to settle on a guiding company, after a lot of searching we went with Team Kilimanjaro. The package we payed for was more or less a luxury option (although very common), it included a small force of porters that carried everything, cooks and several guides. Only thing we had to do during the trip was to walk. A time leap into the future and it was time to leave Sweden behind for an adventure. We had a long flight ahead of us, with a shorter layover in Istanbul (one of my favorite airports btw). Wasn’t all to pleasant flight between Istanbul and Arusha, kids running up and down the aisle the whole flight. The 8 or so hours didn’t really fly by but we finally arrived in Arusha. After some time spent getting through the visa on arrival process and passport control we collected all of our baggage and headed out for our booked ride. Or so we thought. It was around 2am, so middle of the night and or ride never showed. Not the best way to start a journey. We were eventually forced to take 4 cabs for a ridiculous price. There are no buses running between the airport and Arusha anymore due to previous robbings and kidnappings. At least the hotel, the Outpost Lodge, was still open when we arrived in the wee hours of the morning. Our tour company came to visit us the following morning, and they were very apologetic for the mishap that happened during the night. Apparently they had forgot to book the shuttle for us, but they reimbursed us for the taxi fare as well as brought us two bottles of cava. Free alcohol heals all wounds! After a walk through of what was awaiting us on the mountain and meeting our head guide, we went out to explore Arusha for a bit. We had planned in an extra day to just chill so we didn’t have to directly head to Kili. 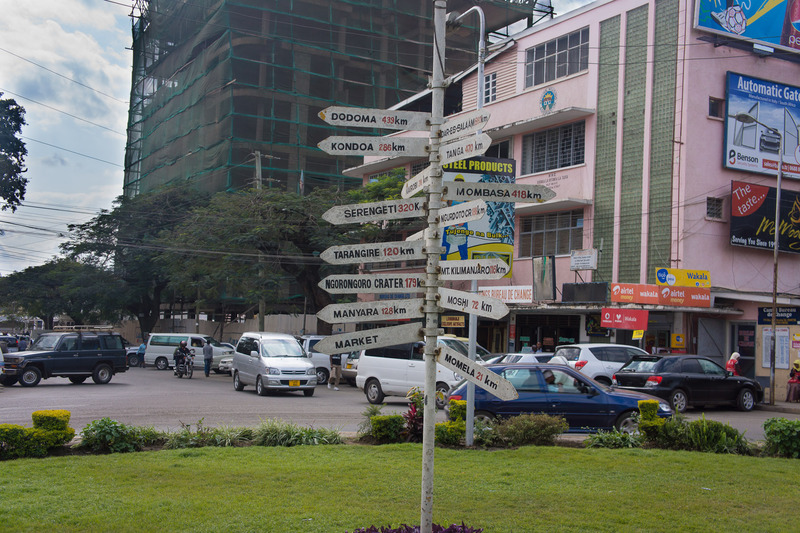 Our guide took us through the central parts of Arusha and told us some of its history. Was a nice extra gesture that we hadn’t payed for. The day was slowly coming to its end, everyone was gathered for some pizza and beers and the day that we had waited for for so long was just around the corner. Tagged arusha, kilimanjaro, tanzania, travel.